I got my copy of James Gurney's book on Adolph Menzel! The man lived by his motto "Not a day without a line." 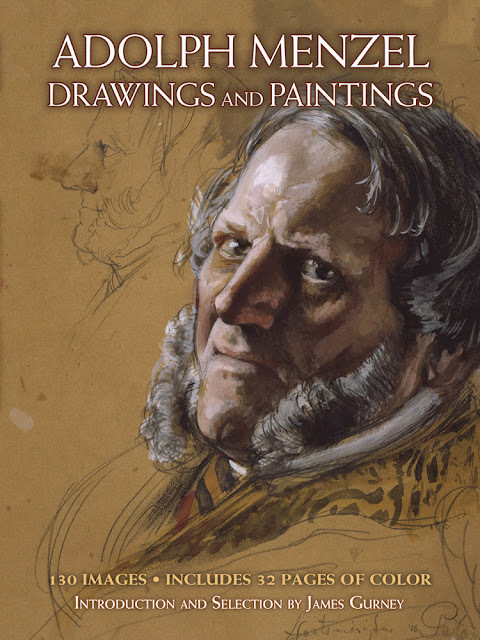 and sketched and painted everything all the time (as does the admirable James Gurney, one of our best living artists), his commitment was extraordinary! My hope is that that all of us digital artists will follow his inspiration and improve through observational study. The book has helped me redouble my efforts, It sits next to my desk and is frequently perused as a constant reminder of what the attitude of a real artist is. I highly recommend it, get your copy at James' website.